This is one of my favourite meals to whip up during the week as it takes hardly any time to prepare and is amazingly delicious! 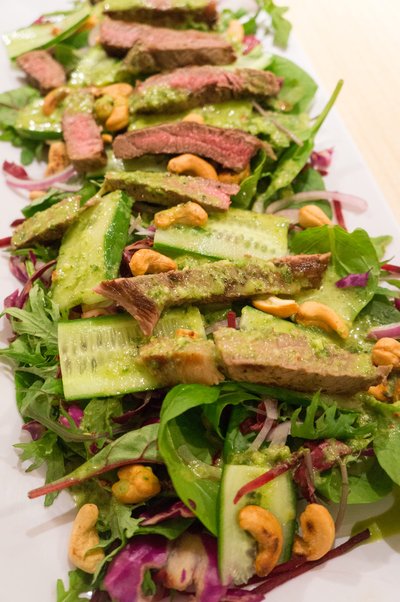 The dressing is incredible and gives the salad a huge flavour kick. It also makes you feel light and fresh! 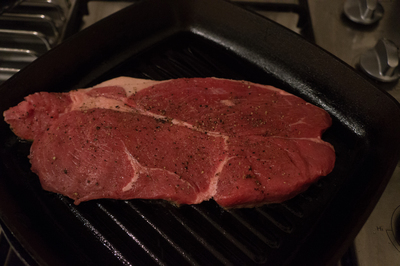 Preheat a char-grill to high. Rub beef with oil and season with salt and pepper. Cook for 3 minutes each side. Transfer to a plate and cover with foil. Rest for 10 minutes and thinly slice. Meanwhile, make the Nam Jim Dressing. 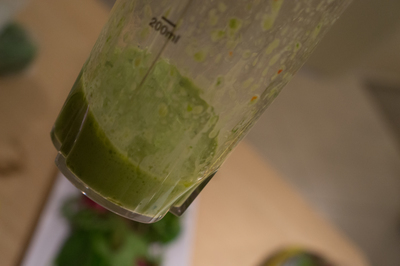 Blend all dressing ingredients together until smooth. Arrange salad mix on serving plate. 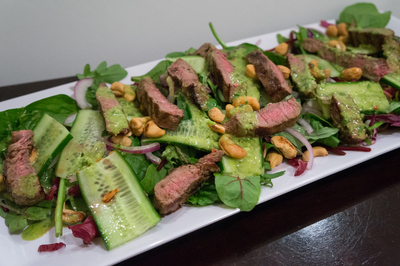 Top with cucumber and red onion, cashews and beef. 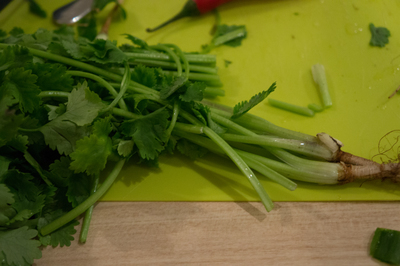 Drizzle with dressing and sprinkle with fresh coriander leaves.